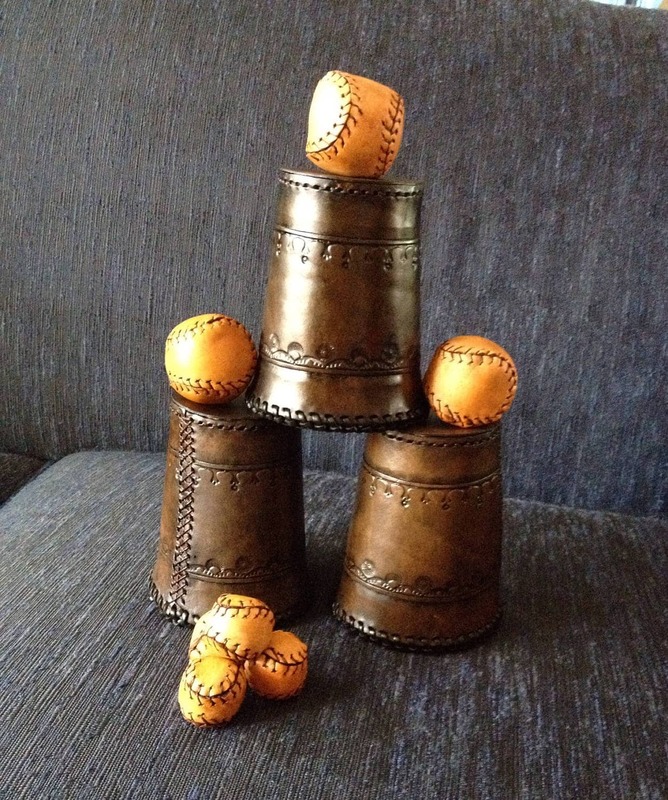 Custom made set of leather cups and balls. This classic magic trick has been used for thousands of years and we are proud to bring you this all leather set. 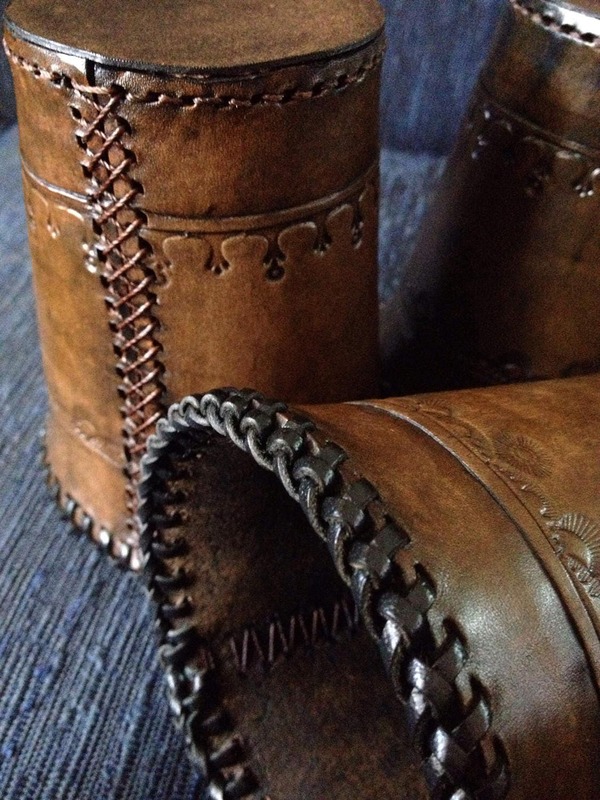 Genuine veg tan cowhide construction. Customize by choosing your color and even change the design for the tooling if you wish. 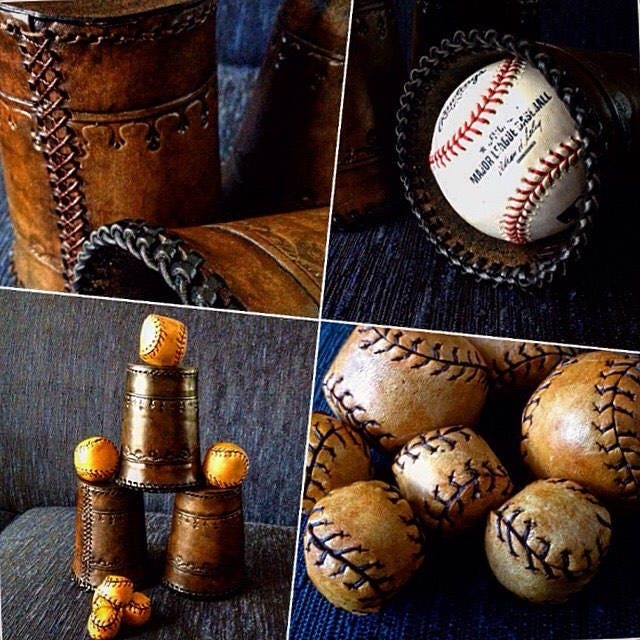 Set includes 2 standard leather cups, 1 chop cup, 3 small balls (with wood cores), 1 gimmicked ball, and 3 final load balls (birdseed core). Cups measure 4.5 in (11cm) tall, 2.5 in (6.5cm) diameter base, 3.25 in (8cm) diameter mouth. Balls measure approx. 1 in (2.5 cm) for smaller balls, 1.75in (5cm) for final loads. 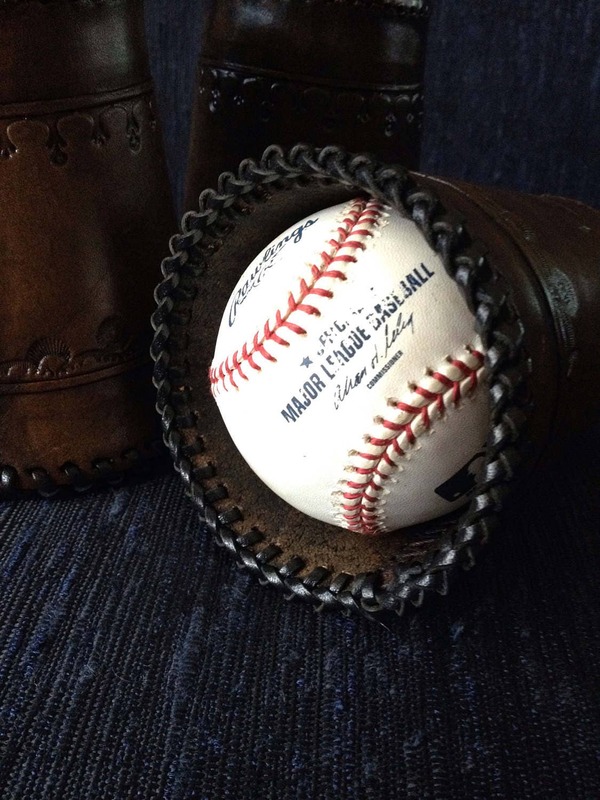 Specify color for balls and for cups in comments section when ordering.